If you’ve shopped at an online retailer recently and added an item to your shopping cart but then not completed your purchase, you’re likely to have started seeing ads for that retailer all over the web for the next few days. The reason is a marketing technique called remarketing. Remarketing is an advertising technique wherein online advertisers target customers who have completed some portion (but not all) of the buying process, with additional targeted advertising designed to “get them over the hump” and complete a purchase. Advertisers can begin using remarketing by placing a cookie on each visitor’s browser who enters their site. Then, they can keep track of the actions those visitors take. So, for example, if a customer abandoned a shopping cart on an ecommerce site, the retailer could power customized ads (via a remarketing ad network) whenever that potential customer went elsewhere on the web. The financial opportunity afforded by remarketing for abandoned shopping carts alone is very substantial, as an estimated 300 billion dollars are lost in e-commerce sales each year from the approximately 70% of online shopping carts which go abandoned. Moreover, the ROI on remarketing has been tremendous, delivering roughly 4x the sales for the same ad spend and 18x the net profit relative to other forms of online marketing such as untargeted email marketing. How is email retargeting different from traditional retargeting? Having seen the benefits of traditional retargeting via display ads, large retailers are increasingly utilizing email retargeting to reach customers with abandoned shopping carts. 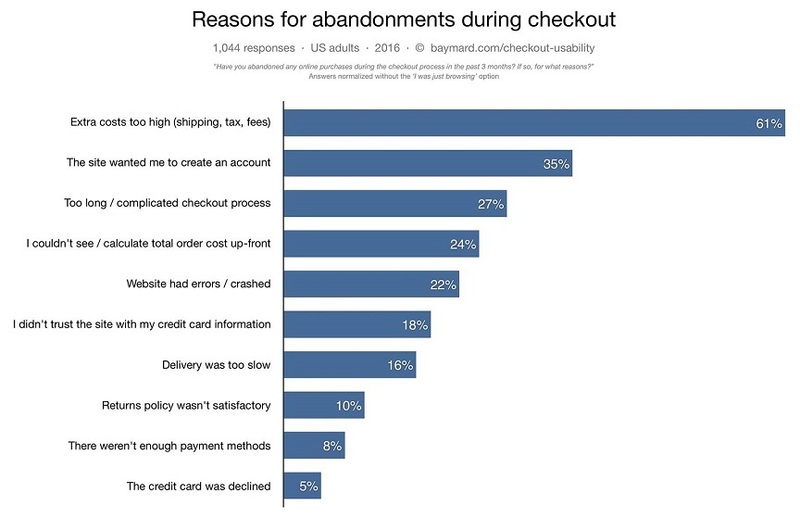 The idea here is similar: When a customer abandons a shopping cart, instead of seeing targeted ads throughout the web as they would with traditional retargeting via display ads, they instead receive a targeted email either reminding them of their full shopping cart, touting the benefits of the product they abandoned, or, most effectively, by offering an incentive such as a coupon code to complete the abandoned sale. The short answer is yes. As discussed above, remarketing as a general strategy has been shown to deliver 18x the net profit of less targeted online advertising. And within the sub-section of email remarketing, a recent study indicates that even a bare bones email remarketing campaign can expect to achieve 31% higher transaction rates for the retailer. Given that email retargeting generally costs the retailer virtually nothing (as opposed to traditional retargeting, which requires that the retailer purchase additional media), the ROI is tremendous. Email retargeting works by placing a cookie on each customer’s computer, and then, after the customer has entered their email address, by tying that email address to the cookie, and tracking the potential customer’s behavior through the website. If the potential customer abandons their shopping cart (or takes another action as specified by the ecommerce site) the customer then receives an email (or series of emails) in an attempt to have that customer complete their purchase. Typically, for small and mid-sized merchants in particular, this process is all managed by a third-party provider that specializes in email retargeting services. Now that you understand the basics of what email retargeting is, we’ll cover a few points to consider when creating an email retargeting campaign. There are a number of moving parts needed to make an email retargeting campaign effective. You’ll need to place cookies, have the ability to track cookies throughout the site, integrate with a shopping cart, gather emails, create customized emails on the fly, send emails, track email opens and clicks, and send follow up emails accordingly. Because of these many components, it makes sense for all but the largest online retailers to outsource email remarketing to a third-party platform. There are a number of these providers, such as Rejoiner or Cart Rescuer that each have unique advantages, disadvantages, and price points that you should examine closely. Consider ways that you can incentivize potential customers to provide their email address early on when visiting your website. For example, offer a coupon code usable on the customer’s first purchase when they provide their email address. 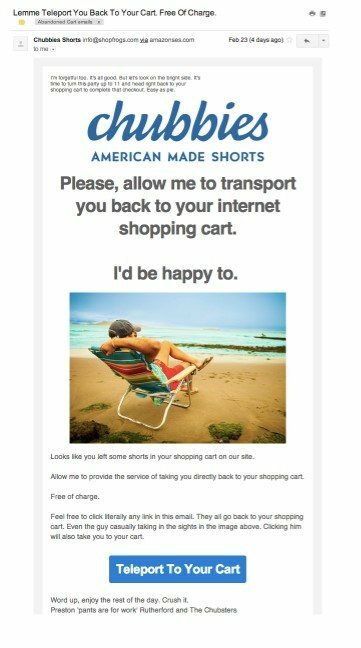 The loss in potential revenue via those customers who would have made the purchase anyway without receiving the coupon code unsolicited is more than outweighed by the ability to retarget the approximately 70% of shopping carts that will go abandoned. Once a customer abandons their shopping cart, studies indicate that you should send your first retargeting email out to them almost immediately, as you have that person’s attention in that moment. You’ve put a lot of effort into cultivating and protecting your company’s brand. You don’t want to throw that away by abusing a customer’s email address (even assuming you have permission to do so) by sending them dozens of follow ups. On the other hand, sending merely one follow up retargeting email isn’t sufficient. An Experian Marketing survey indicates that an additional 54% of customers can be recovered via a second email remarketing reminder. 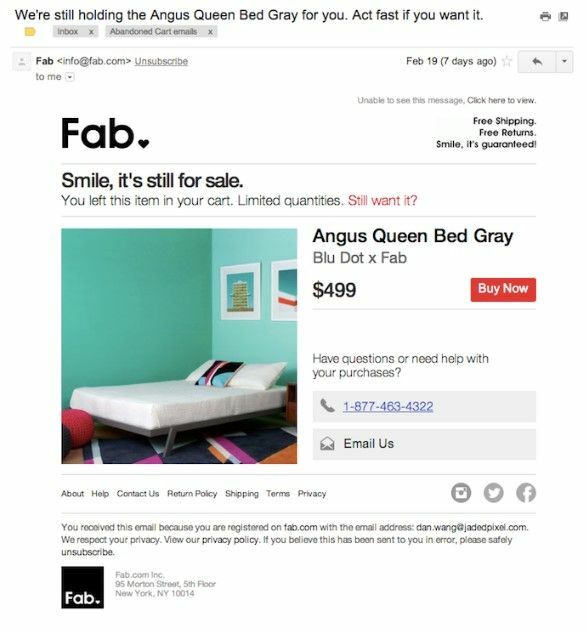 Your ability to personalize your retargeting emails depends in part on how much information you’ve gathered from the potential customer on the front end (e.g. do you have the customer’s name in addition to their email), as well as how granular your pixel tracking is (e.g. do you know the specific items that the customer has placed into their shopping cart). But, in general, you want your retargeting emails to be as individualized and specific as possible. That means mentioning the customer by name, and listing (or better yet displaying) the products that the customer abandoned in their shopping cart. 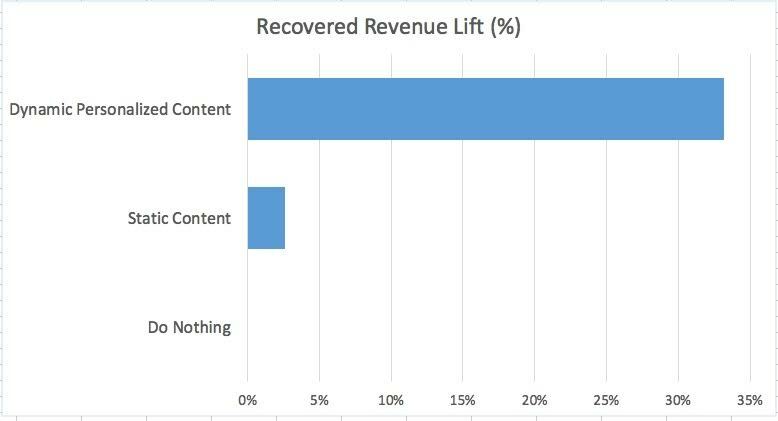 The difference in recovered revenue lift your company will see by sending dynamic, personalized retargeting emails is more than 10x what you’ll obtain by sending generic content. The prospective customer has already indicated a willingness to walk from the sale before, meaning that they may do the same thing again. In order to win the customer back, you need to attempt to address the concern of the customer had and create a sense of urgency to complete the purchase. You can do this by explaining the features of the product along with a single use discount code that will expire within a relatively short time period, or, for an alternative that won’t cost your business anything, via a notice that you’ll only hold their shopping cart intact for a certain amount of time. The purpose of retargeting emails is to get customers who have recently strongly considered making a purchase over the proverbial hump by either reminding them of the products they viewed or otherwise addressing a specific concern. Given that ultimate goal, you need to make it very simple for the customer to actually complete the sale by having a clear call to action which leads directly back to the shopping cart. Ready to get started with email remarketing? Despite the clear benefits of email retargeting, there is still a tremendous competitive advantage available to companies who start using it now. That’s because despite the percentage of companies using email retargeting increasing by approximately 30% year over year, it is still only a fraction (approximately 1 in 5) of large companies that use cart abandonment email retargeting and a much smaller percentage still of small retailers. That means that not only will your company benefit from access to high ROI advertising, but you’ll also gain significant advantages over your competition. Brad Martin is the CMO of Soar Payments, a Houston based merchant services provider that specializes in high risk merchant accounts. You can learn more about Soar Payments by visiting the company’s Google+ page.